Small means big when it comes to the VW Jetta. The Volkswagen Jetta is a compact sedan, a five-passenger model offering three turbocharged gasoline engine choices. Now in its sixth generation, the Jetta offers a conservative style, excellent interior room, superior handling, and a roomy trunk. 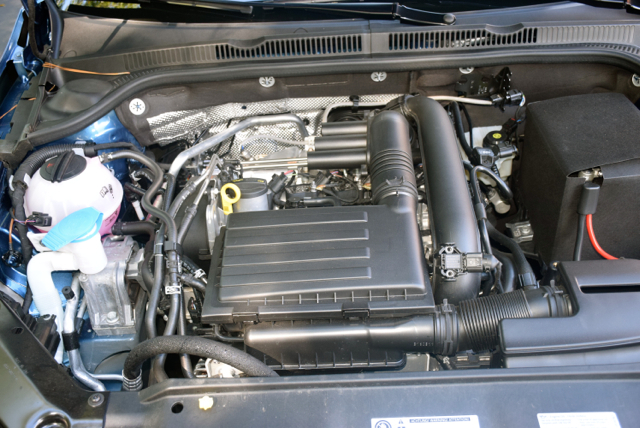 Following an extensive refreshing for 2015, the Jetta received a more powerful base engine for 2016. Changes for 2017 include an updated infotainment system with a USB connection, available driver assistance features extended to lower trim models, and a standard rearview camera. The previously available turbo-diesel engine has been dropped due to the automaker’s violation of emissions standards. The hybrid model has been discontinued as well. Volkswagen offers the 2017 Jetta in five trims: S ($17,680), SE ($18,995), SEL ($23,650), SEL Premium ($25,380), and GLI ($26,920). Additional equipment packages can also be selected. Add $820 for the destination charge. If you think the Jetta’s design seems like a throwback to another era, you aren’t alone. Its profile suggests a circa 1990s sedan, but with a far more streamlined appearance. But this general boxiness has a distinct advantage — the interior is quite large as is the trunk. This model is marked by a long, narrow horizontal grille honed in by large combination lights accented by distinct LED lights. The lower grille opening is sporty with layered skirting. Squared edges and even lines are present, front to back. An even beltline, body sculpting, and alloy wheels amplify the profile. From the rear, the 2017 Jetta has large wraparound combination lamps, body sculpting, reflector lights, and an exhaust tip. Trim level and package upgrades bring important changes to the Jetta. 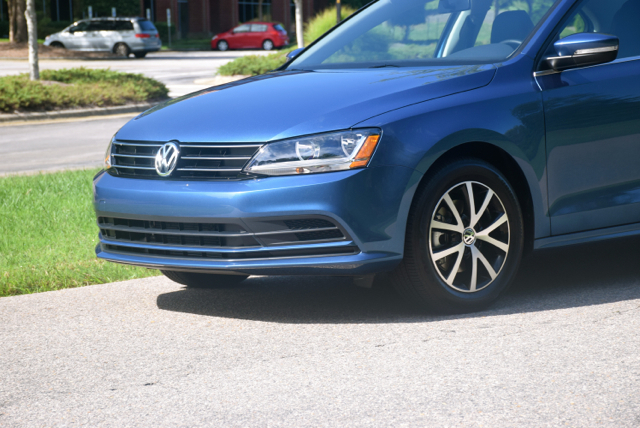 The Sport and GLI models employ a sport suspension, lowering the vehicle height slightly by 0.6 inches. Sport bumpers, larger aluminum alloy wheels, and Bi-Xenon headlights with adaptive control are among the enhancements available. If you were to be placed inside the Jetta blindfolded and felt your way around, you might insist that you were in a midsize sedan. Such are the proportions of this vehicle as it comes as close to a midsize sedan as it possibly can. That fact alone gives the Jetta a distinct marketing advantage as it holds five with no penalty seat present. The interior layout is simple, if not uncomplicated, with a clean dashboard featuring available soft touch materials and chrome-like trim. The instrument panel is marked by a pair of analog displays set within oval recesses. The leather-wrapped steering wheel has a flat bottom with the expected secondary controls on its face. Moving to the center stack, the color display is centered underneath a pair of air vents with switches and knobs controlling same. The climate control panel is below that and a large open storage compartment is at its base — perfect for holding and connecting your smartphone. The gear shift, two cup holders, the emergency brake, and an armrest/storage compartment split the front seats. You’ll find much comfort and support with the driver’s seat. Available full power and lumbar support provide what most drivers need. 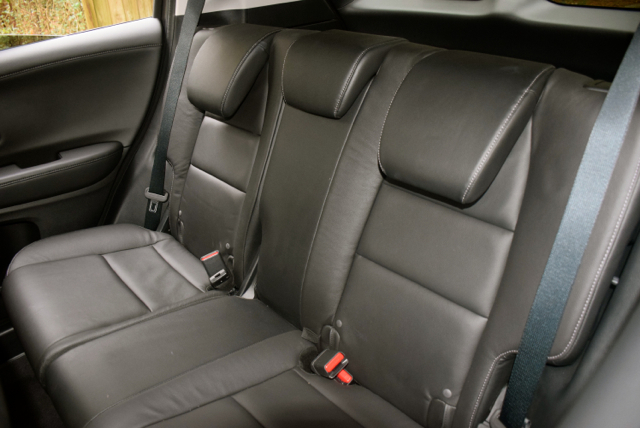 The rear seat offers a 60-40 split folding design along with a pass-through to the trunk. That trunk measures 15.5 cubic feet of usable space and is larger than most midsize sedans. All models are equipped with air conditioning, power accessories, cruise control, and power-heated side mirrors. Available features include dual-zone climate control, a sunroof, and heated front seats. On the technology front, the 2017 VW Jetta has a new MIB II touchscreen infotainment system. The unit’s display makes use of a capacitive touch sensor (just like in your smartphone or tablet ) enabling gesture controls such as swiping and pinch-zooming. All models come with SD card slots, an auxiliary port, a USB interface, Bluetooth, and a rearview camera. Available App Connect brings in a larger screen, smartphone integration, satellite radio, and HD radio. A nine-speaker premium Fender audio system making 400 watts is available. The usual complement of safety features is included in the 2017 Jetta such as six airbags, stability control, electronic brake-force distribution, and brake assist. New for this year is the available post-collision braking system, enabling the vehicle to stop once the front airbags have been deployed. Customers can also upgrade to a driver assistance package ($950), available on TSI SEL and SEL Premium models. This package brings in adaptive cruise control, forward collision warning, autonomous braking, and blind spot monitor with rear traffic alert. As a result of its many safety features and its excellent performance in crash tests, the 2017 Jetta garnered the Insurance Institute for Highway Safety’s highest award — Top Safety Pick+. The IIHS assigned the Jetta with its top score of “good” in all five major crash testing categories. The institute also recognized the sedan’s crash avoidance & mitigation system with an “advanced” score. With the turbo-diesel no longer offered, customers must now choose among three turbocharged four-cylinder gasoline engines, including an all-new base engine. The smallest of the three engines displaces at 1.4 liters and is standard on the S and SE trims. It produces 150 horsepower and 184 pound-feet of torque, and comes paired with a five-speed manual or a six-speed automatic transmission. This model is also the fuel economy leader, achieving up to 28 mpg in the city and 40 mpg on the highway. A 1.8-liter four-cylinder engine is the middle choice (SEL trims), making 170 horsepower and 184 pound-feet of torque, and comes paired with a five-speed manual or a six-speed automatic transmission. This model makes up to 25 mpg in the city and 36 mpg on the highway. The largest engine displaces at two liters and makes 210 horsepower and 207 pound-feet of torque. 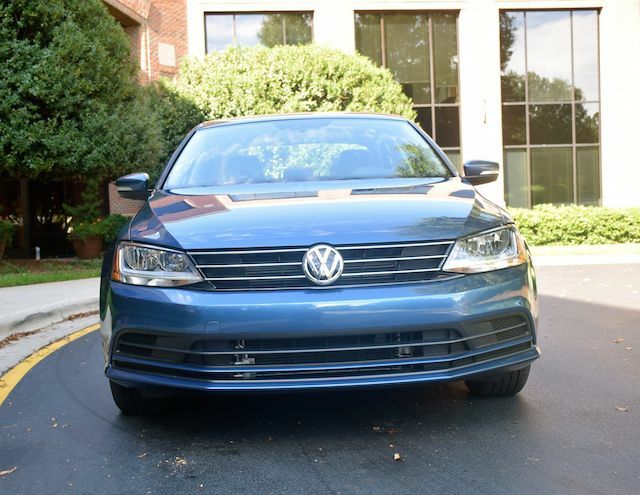 Available only in the GLI edition, this engine is paired with a six-speed manual or a six-speed automatic transmission, and makes 24 mpg in the city and 33 mpg on the highway. As tested, Volkswagen supplied a Jetta SE equipped with the smallest engine. We found the engine responsive, peppy, and up to the task. The test model was also outfitted with a five-speed manual transmission. We immediately discovered it shifted quickly between gears and very importantly we did not miss the sixth gear, the typical number of forward gears for today’s manual transmissions. The Jetta handles better than most small sedans. It comes with electric power steering — offering a precise feel — and confident ride control. This sedan stays planted and braking is firm. You couldn’t go wrong buying this sedan based on that criteria. 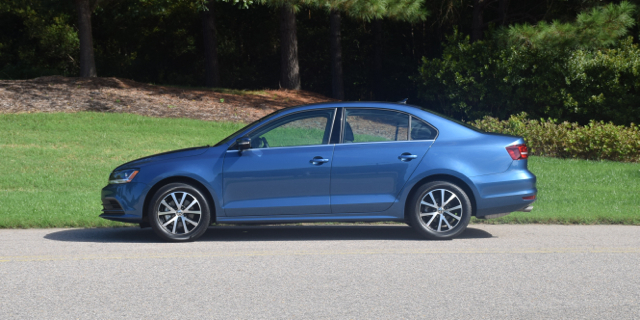 The Volkswagen Jetta sneaks into the compact segment as one of the largest models of its kind. It doesn’t have the sleek appearance of a Ford Focus or the sharp lines of the Hyundai Elantra. Yet, it does offer a tidy package at a competitive price with a bevy of options to elevate that experience. The 2017 Jetta can get very pricey too, pushing $30,000 in the GLI SEL. That’s an unusually high price point for a mainstream compact car and may have some shoppers considering the similarly priced Audi A3 instead. With no diesel available, a huge purchase consideration has been removed and that’s a concern for some shoppers. 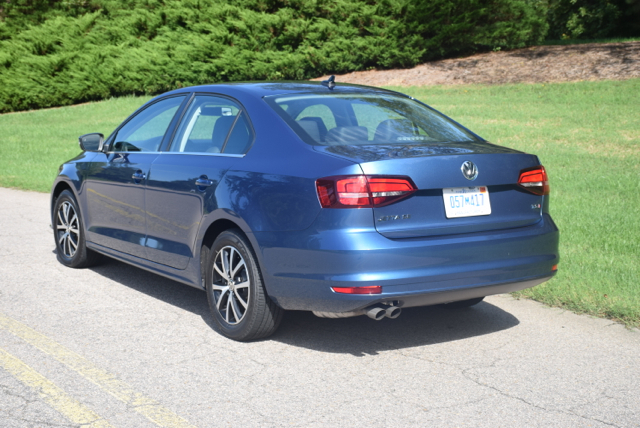 However, with three gasoline engine choices available, including the base engine making 40 mpg on the highway, efficiency remains part of the Jetta hallmark. Honda has enjoyed much success with its first two utility vehicles. Notably, its compact CR-V leads in that segment, while its larger, three-row Pilot competes effectively in its own space. A third model, the subcompact HR-V, was introduced on May 15 and six months later it is tearing up an emerging segment. Clearly, the automaker once best known for its Civic and Accord coupes, hatchbacks and sedans, has found its own place in the SUV market. 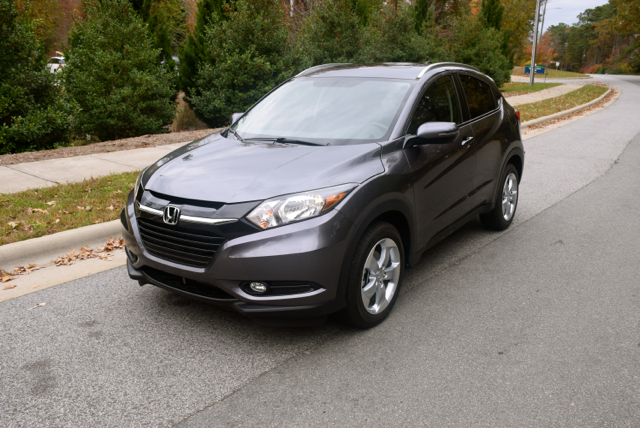 A 2016 Honda HR-V EX-L AWD edition was a recent weekly test project, a model built on the Honda Fit’s platform. Before we look at the model at hand, let’s take in some perspective first. The HR-V name is not new — it was used on a wagon-like model from 1999 to 2006 and was sold in Japan. Variants of this vehicle were offered in New Zealand, Australia, and the Pacific Rim, but the first-generation HR-V was not offered in North America. Fast forward a decade and the mini SUV market in North America has changed. The current crop of small SUVs has been led by the Nissan Juke, but other models jumped in more recently, including the Chevrolet Trax, Jeep Renegade, Mazda CX-3, and the Fiat 500X. Other manufacturers will models following include Toyota with its C-HR, the Ford EcoSport and the Hyundai Kona. The Kia Soul might also be considered a competitor here. As for the Honda HR-V, this model’s arrival comes as consumers continue to shift their purchase considerations toward utility vehicles. Brands such as Chevrolet, Nissan, Ford and Toyota are well represented in that department; the HR-V provides Honda with more solid footing in the marketplace. The 2016 Honda HR-V is available in LX, EX and EX-L Navi editions. Front-wheel drive is standard; all-wheel drive is available. The lowest cost model is an HR-V LX edition with a 6-speed manual transmission and front-wheel drive. At $19,115 it sets a low price bar. Choose the EX and you’ll pay from $21,165. Honda then prices the EX-L Navi from $24,590. And if you haven’t figured it out yet, Navi means a navigation system is standard. As delivered, an EX-L Navi AWD edition was my weekly driver and priced from $25,840 with a $26,720 sticker price. The $880 difference represents the destination and handling charge; there were no other add-ons tacked on. A continuously variable automatic transmission (CVT) is standard. 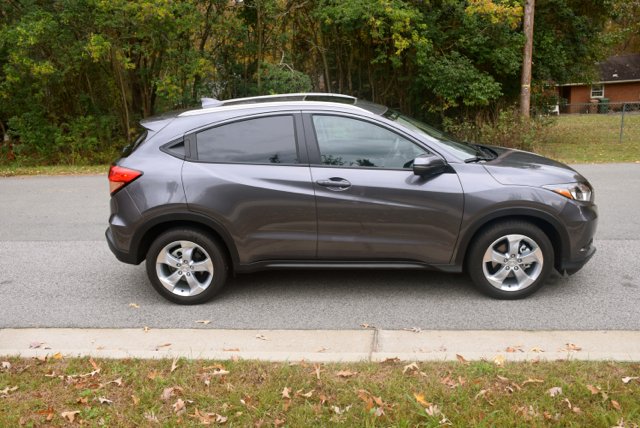 Despite sharing its platform with the Fit, the Honda HR-V is longer, wider and taller than the subcompact hatchback. In effect, Honda added 3.2 inches between the wheels and 9.1 inches overall. Also, the HR-V sits nearly five inches wider and is 3.2 inches taller than the Fit. The crossover has also put on the pounds, adding approximately 500 of them to top 3,100 pounds. Beyond that, the HR-V is a model in its own right. This model flows from bumper to bumper, projecting a vehicle in constant motion. Up front, the signature Honda grille is present and is accented by large, wraparound lighting assemblies. Sculpting across the lower fascia and on the hood give this model a more polished look. Sporty pockets surrounding the lower grille opening house the fog lamps. The HR-V’s profile is marked by a rising belt line and a sloping roofline that ends in a liftgate spoiler. Along the sides are character lines and more sculpting, including a pronounced swoosh design that begins near the front roof pillar and runs across the doors and ends at the rear pillar. Rocker panel skirting and aluminum wheels provide additional fetching highlights for this diminutive SUV. To the rear, wraparound combination lamps, additional sculpting, and reflectors are present. This model comes with a singular exhaust tip. Inside, the cabin is compact, but fairly roomy. Oddly, this is the first Honda model to pass through my test fleet — hundreds of Chevrolets, Toyotas, Hyundais, Fords, Nissans, and Kias joined a handful of Fiat Chrysler models, but no Hondas. Until now. That meant familiarizing myself with the layout of vehicles I have ridden in, but seldom have driven. The interior is marked by hard touch materials across the dashboard with soft touch materials on the lower dash and surrounding the console. Brightwork accents and leather — on the seat and enveloping the steering wheel — give this particular edition a premium look and feel. 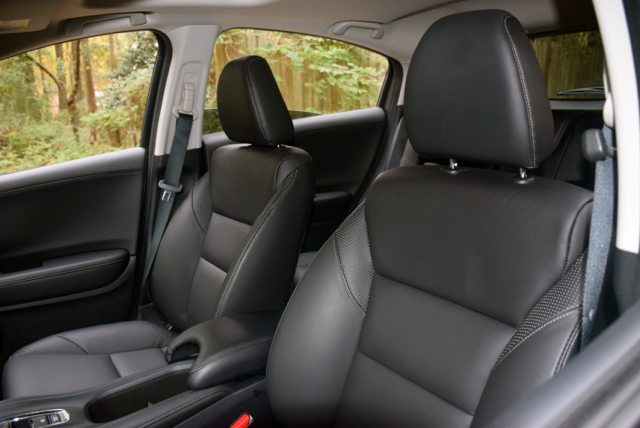 The front bucket seats are bolstered and supportive, providing an expected level of comfort for this class. What you won’t find are power-operated seats — manual adjustment is it and only the driver’s seat allows you to adjust the height level. 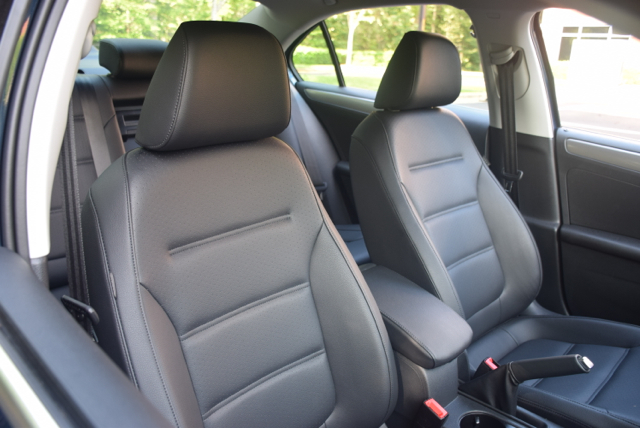 The rear bench seat is a 60-40 split fold design, what Honda calls its magic seat. The name seems appropriate as it allows you to adjust them to sit in a variety of positions, what Honda describes as tall mode, long mode, utility mode, and refresh mode. With tall mode, you lift each section of the seat base, push the seat legs down and ensure they’re locked in place. Of special interest to sports-minded owners, tall mode makes it possible to place a bicycle within the cabin. Reverse the process by simply raising the seat legs and lowering the seat bases. Choose long mode and you enjoy extra interior room with the rear seats folded. Simply remove the front passenger seat headrest and push the seat all the way back. By doing so you’ll provide enough room to carry a very long item, such as a floor lamp. Utility mode is achieved by lowering the rear headrests as far back as they will go before dropping the seat back into the rear passenger compartment. The HR-V’s low and flat floor provides excellent storage room. Lift the seat backs again and they can also tilt slightly back for added comfort. One of the more intriguing seat positions is achieved through refresh mode. Here, you place the rear seats in tall mode before removing both front seat headrests, placing them to the side before lowering the seat back. Then, lower the rear seat back to connect to the front seat and you’ll have a pair of lounge chairs at the ready. Clearly, the seat gymnastics is a star point for this Honda, thus the magic connotation. The HR-V’s instrument panel is composed of a three-dial layout with the speedometer in the center, a tachometer to the left and digital information to the right. To amplify its “green” credentials — this model makes upwards of 35 mpg on the highway — the center dial rim shifts from a gray-colored light to green whenever you’re driving economically, which means nearly any time your foot isn’t on the accelerator or the cruise control isn’t raising RPMs in a bid to climb an incline. The center console is a simple design with a 7-inch color display providing touchscreen control of the navigation system, your phone, audio system, and Link Connect — to connect your mobile device with Bluetooth. The system takes some getting used to, but I managed to plug in directions and have them returned to me accurately. Below the color display is a panel for managing the climate control system — air conditioning, heat, front and rear defrosters, and the heated seats. Between the front seats is the transmission stick, an electronic brake hold, two cup holders and a small arm rest with the tiniest storage area inside. Beyond the glove box, in-cabin storage seems limited, although there are bottle holders in each door. The center console is also a “floating” display and that means there is a storage area underneath with the attendant connectivity points. Side pockets on the console can hold your smartphones. Behind the rear seats is a storage area with a cargo area light. Happily, underneath the floor is a full spare — no temporary spare or inflator to tide you over. All Honda HR-V editions come equipped with air conditioning. A tilt and telescopic steering column, power accessories, Bluetooth connectivity, and cruise control are standard. Map lights, two 12-volt outlets, and a USB and auxiliary input port are included. Automatic climate control, Honda LaneWatch, push button start, and heated seats show up in the EX edition. Honda LaneWatch works by activating a camera on the right side of your vehicle and displays what it detects on the screen. Activation is automatic if you activate the right turn signal in preparation for switching lanes. There is also a switch on the stalk to give you a constant real-time display — as you might guess, lane changing accidents represents a high number of all car accidents. LaneWatch can help you avoid such a calamity. 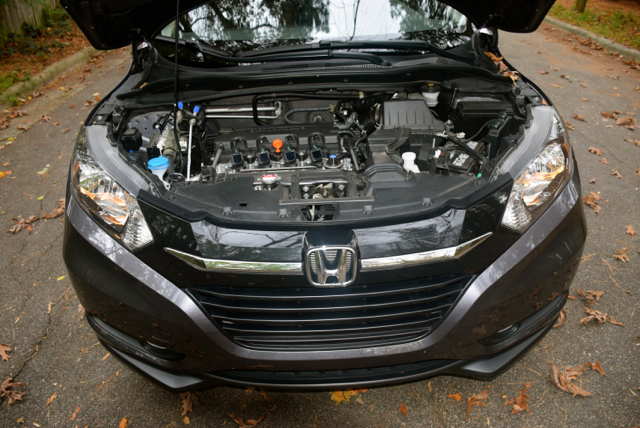 All Honda HR-V models are powered by a 1.8-liter, four-cylinder engine making 141 horsepower. Although a manual transmission is available, most models come equipped with a CVT. Sorry folks, but automatic transmissions cannot deliver the efficiency of a CVT — expect to see more of them in the years moving forward. Slip behind the wheel, adjust your seat and mirrors, put on your seatbelt and find the right position for the steering column and you’re ready to go. The engine is suited for this model, providing adequate oomph as you step on the accelerator. But the annoying CVT also becomes apparent as the sound emanating from underneath the hood gets progressively louder. Somewhere near 5,000 RPM it eases back even as you continue to accelerate to highway speeds. If you’re not familiar with CVTs, these transmissions provide gearless “shifting” as power is sent to the wheels. Automakers love them because they’re typically at least 10 percent more efficient than gear-stepped transmissions. Auto enthusiasts detest them and avoid them like the plague. But then there is that overwhelming group of drivers who don’t know the difference or don’t care. So, turn up the audio system and keep driving. To sum up, the HR-V is another winner for Honda, a model that outclasses the competition and makes the oldest model in the segment, the quirky Nissan Juke, seen really old. That makes for a difference, one that should help Honda maintain some space between it and Nissan for the fifth sales spot in the US market. At least for another year and maybe for as long as the crossover infatuation remains.